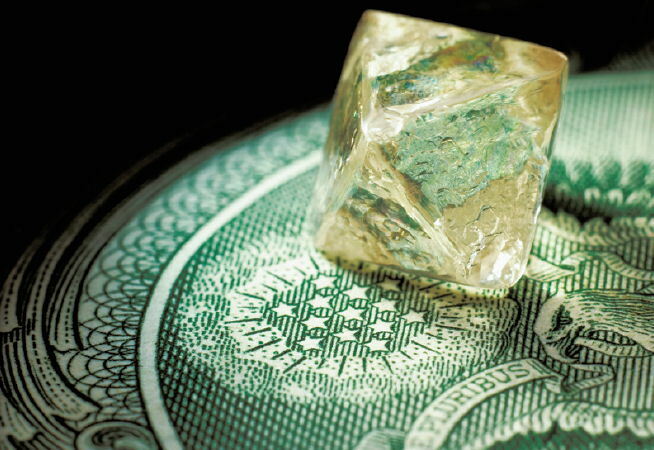 (IDEX Online News) – <?xml:namespace prefix = st1 ns = "urn:schemas-microsoft-com:office:smarttags" />Belgium imported $1.41 billion worth of rough diamonds in May and exported $1.47 billion in goods, rising 99.3% and 71.7% respectively, according to figures released by the AWDC on Thursday. Net trade, export less imports, totaled $66.2 million, a 56.5% decline. The volume of trade saw less dramatic changes. Gross exports were down by 8% to 10.1 million carats, while imports rose by 6.6 to 9.3 million carats. While these trade figures include gem as well as industrial grade rough goods, it's worth noting the sharp changes in average prices. Both imports and exports were traded at 85% higher prices that they did in May 2010.